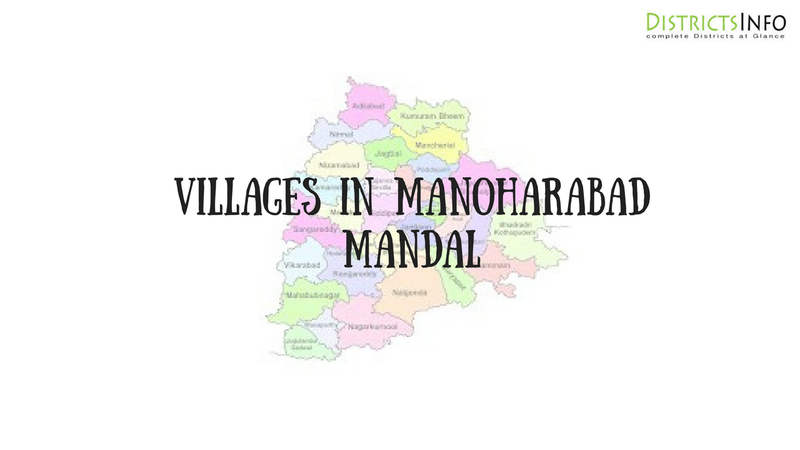 Manoharabad Mandal with new villages in Medak district: Manoharabad is a Mandal in Medak District of Telangana State. It is located 51 KM towards East from District head quarters Sangareddi and 5 KM from Tupran. 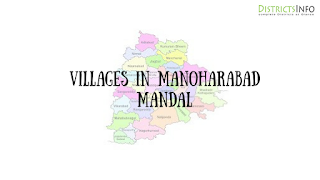 Manoharabad is enclosed by Shivampet Mandal towards west, Wargal Mandal towards East, Medchal Mandal towards South, Mulug Mandal towards East.It consists of 16 villages.we have listed here, Lingareddipet, Palat, Ramaipally, Venkatapur Agraharam, Dharmarajpally, Chatla Gouraram, Konaipally (Patti Toopran), Manoharabad, Jeedipally, Kucharam, Kallakal, Muppireddipally, Rangaipally, Kondapur, Potharam, Parkibanda.Also, check Toopran Mandal villages.